The chances are that if you’re familiar with phrases such as “pause and record live TV” or “never miss your favourite TV show again” you’ve been exposed to an on-screen advertisement for a digital TV recorder. The irony of this situation is that digital TV recorders enable viewers to fast-forward or skip television advertising altogether. This is not a new phenomenon – digital TV recorders with the capability to sidestep advertisement breaks have been available since 1999. Research undertaken by leading public opinion assessor YouGov in 2010 revealed that 86% of digital TV recorder owners in Britain always skipped television advertising when watching time-shifted or recorded programmes. As greater numbers of television catch-up and recording services and devices appear, what does the advent of digital TV recorders mean for the TV advertising business? Can technology be regarded as a fundamental threat to the TV advertising business? 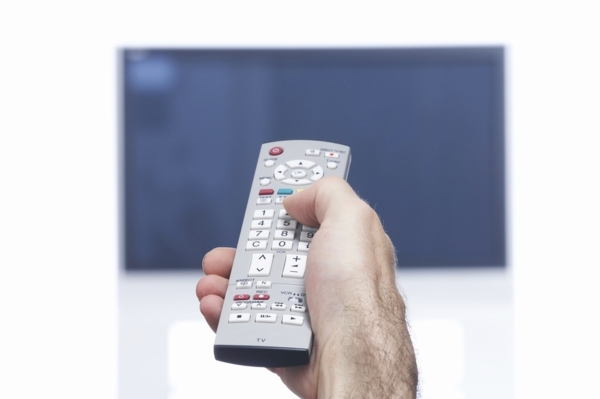 It could be argued that the technological advance that has had the greatest impact on television advertising is the invention of the remote control. How many of us reach for the remote to flick through the TV channels as soon as we hear the words “Don’t go anywhere, we’ll be back after this break”? But avoiding television advertising is not something for which technology can be blamed; it’s something that viewers have done since the introduction of commercial TV. The commercial break has always been regarded by a significant proportion of the TV viewing nation as the perfect opportunity to nip to the bathroom or make a cuppa before the programme they are watching begins again. The positive news for the television advertising business is that more than half of the respondents to YouGov’s survey considered TV the most memorable form of advertising, with only 2% advocating online advertising (banners, videos, pop ups etc.). Why, then, do so many of us avoid watching TV adverts when given the opportunity. In part, the answer seems to lie with the evolution of the TV ad business. A third of viewers surveyed suggested that they would watch TV advertising campaigns that were more memorable. The agencies behind advertisements featuring meerkats and insurance-comparing opera singers would argue that these campaigns were memorable, and yet viewers largely cite them as irritating. Maybe the world ‘memorable’ should be substituted for ‘entertaining’. In the last few decades a great tradition of entertaining – and consequently effective – TV advertising has been lost. Surely the way to prevent viewers fast-forwarding through advertisements with their digital TV recorders is to make those advertisements unmissable once more? Unforgettable campaigns such as the1970s TV ads for Cinzano featuring Leonard Rossiter and Joan Collins, or the enigmatic Guinness commercials of the 1980s featuring Rutger Hauer actually made viewers want to watch them because they were entertaining ‘events’ in their own right. If skipping television adverts is a problem, whether as a consequence of digital TV recorders, channel-flipping or viewer intolerance the TV advertising business must adapt its strategies to compensate. As a result, the commercial break as we know it may become a thing of the past: the obvious solution to advert-skipping is to make advertising ‘unskippable’. Again, this is not a new phenomenon: cinema has used product placement both subtle and blatant as a means of advertising for decades. The Holy Grail for TV advertisers is to integrate advertising within the format of a television programme in such a way that it is effective and memorable without being annoying or overly intrusive. Programme sponsorship is one way to achieve this (consider the sponsorship of “I’m a Celebrity… Get Me Out of Here” by frozen food chain Iceland, for example). Another way may be to integrate advertising with programme announcements, trailers for upcoming programmes or even by means of a small and ever-present brand ‘ident’ displayed in the corner of the television screen. If nothing else, the advent of digital TV recorders means that now, more than ever before, the TV ad business needs to be at its most ingenious and creative for the medium to remain effective.